The story is set in a parallel world to original Fate/stay night, where the House of Einzbern summoned a Ruler rather than an Avenger in the Third Holy Grail War, and the Holy Grail was removed from Fuyuki City to Romania after the war. Thus the events of Fate/stay night and Fate/Zero never happened. 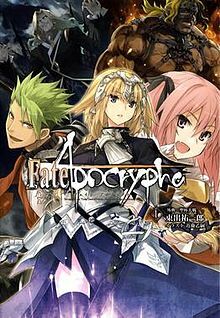 It focuses on the conflict between the two opposing factions, Red and Black, each summoning seven Servants and the Grail itself summoning a special Ruler-class servant as a mediator of the Holy Grail War. The Red faction members are mages sent by the Clock Tower Mage's Association, while the Black faction members are part of a Romanian group of magi called Yggdmillennia.